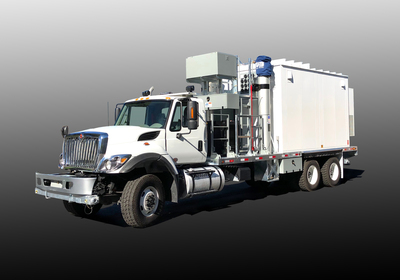 The Sun West COLT - Cell On Light Truck is designed to provide an industry standard to accommodate customer requirements in the areas of temporary mobile support services, event coverage and rapid deployment during disaster recovery efforts as well other mobile communications requirements. When it comes to COWS & COLTS, we uphold the industry leading reputation for designing specialized mobile solutions. We have a large variety of designs in our portfolio for truck and trailer mounted equipment. Sun West Engineering also specializes in retrofitting and modifying older pieces of equipment with newer components that will add new life to unusable and obsolete assets. Please take a few moments to look through our product pages and let us know if we can design a solution for you. The under CDL cabover COLT was developed to meet the needs of those whose requirements are more than what a van solution can offer. This cabover design offers increased weight carrying capacity in a small package. 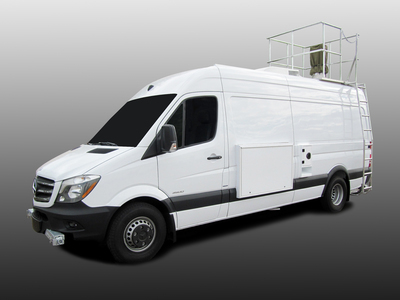 This van offers up to 19,500-lbs GVW vs. the Sprinter van's 11,030-lbs GVW. The manuverability of this truck is better than that of a comparable sized van due to the short wheelbase and tight turning radius of the cabover design. This makes for a perfect inner-city solution. 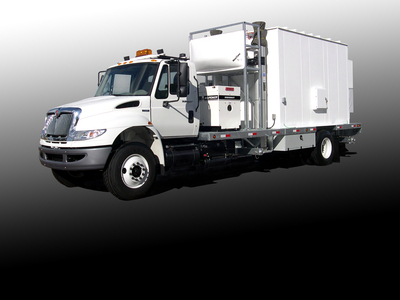 The Sun West Engineering CDL COLT - Cell On Light Truck is designed for supporting special event coverage, temporary construction, network restoration and first responder requirements. Sun West Engineering is constantly designing new solutions to meet customer demands while exceeding their expectations; we design it, manufacture it and support it. 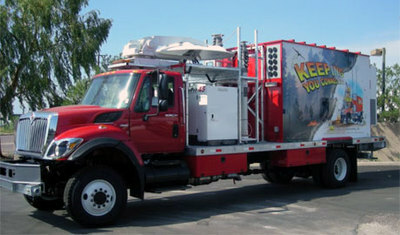 The Sun West Engineering Non-CDL COLT - Cell On Light Truck is designed for supporting special event coverage, temporary construction, network restoration and first responder requirements. Sun West Engineering is constantly designing new solutions to meet customer demands while exceeding their expectations; we design it, manufacture it and support it. Sun West Engineering is an industry leader with a comprehensive design portfolio consisting of equipment cabinets and mobility solutions including COWs and COLTs for large sporting event coverage, network restoration, and disaster relief. We uphold an industry leading reputation of designing specialized mobile solutions. The Sun West Sprinter van solution is purposefully designed for supporting special event coverage, temporary construction, network restoration and first responder/disaster recovery requirements. We designed this solution to meet customer demands while exceeding their expectations in mast height and payload capacity.